Before signing a commercial real estate lease, it is critical that you understand the agreement and its implications. It may have unusual or hazardous terms that get lost in the fine print. However, an experienced real estate lawyer in Philadelphia can help you avoid these pitfalls when signing a commercial lease agreement for your business. To speak with a knowledgeable Bucks County commercial real estate lease lawyer, contact the Olen Law Office today. Is your site lease flexible so you can expand or relocate reasonably? Can you be forced to move out for another tenant or are you stuck with a lease on a deteriorating or casualty damaged property? Can you limit the cost of required site improvements, especially when poised to move? If you want to sell your business, or a division of your business, and the physical location is critical to that sale, can the landlord stop it or reduce your profit. Can you run multiple operations from a single site? If the site will be sold or refinanced, and especially if the landlord has financial troubles, are you protected? If the site is owned by some but not all principals of the business, how are the terms adjusted? Are you protected from a competitor moving into your center or site? What are the terms for a failure to pay and eviction? If you are considering a commercial real estate lease, we will review the language with you or directly negotiate with the landlord to ensure your interests are protected before signing. We will guide you through the sublease, assignment, nondisturbance and termination options; or help you minimize damages if you have to break the agreement. We also assist landlords in commercial real estate lease enforcement. For commercial and industrial lease issues, talk to an experienced real estate lawyer in Philadelphia. 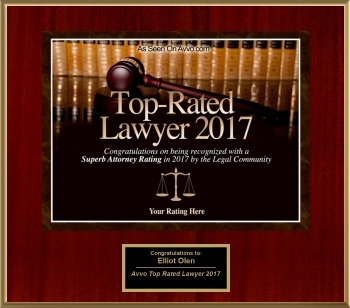 Contact us at the Olen Law Office today. Call us now to schedule a consultation: 215-943-5343.